A new deal between the US Soccer Federation and STATSports should see millions of registered footballers wearing performance technology similar to that used by the game’s top players within three years, according to the UK performance data experts. The partnership will result in the “world’s largest player data monitoring programme” and will be a platform to identify future stars of the game in the US. It is also the first step towards giving footballers at all levels across the country access to the performance technology used by the top professionals and teams around the world. Worn in a vest and positioned between the shoulder blades, the APEX Athlete Monitoring devices quantify physical performance including, physical load and movement during training and matches. The high-resolution units measure physical metrics including distance, speed, acceleration, deceleration, high-speed running, load and heart rate. A typical training session will see millions of data points collected on a player, providing an unparalleled insight into their performance. STATSports’ suite of player development hardware and software provides US soccer coaches, high performance staff and players the ability to analyse each player’s individual response to training sessions and games, through real-time feedback. This ability will continue to remain a crucial element in enhancing performance on the field while also reducing the chances of players under-training or picking up injuries through over-training. US Soccer will roll the technology out in two tiers. 6,500 APEX Team Series systems will be deployed across the US men’s national team, women’s national team, Paralympic national team, futsal national team, beach soccer national team, National Women’s Soccer League (NWSL), youth national teams and development academy clubs. STATSports, shortlisted for Performance Technology of the Year at this year’s BT Sport Industry Awards, already supply clubs in the English Premier League, including Arsenal, Liverpool, Manchester City, Manchester United and Tottenham Hotspur and the Brazil, Germany, Portugal, Belgium and England football associations. 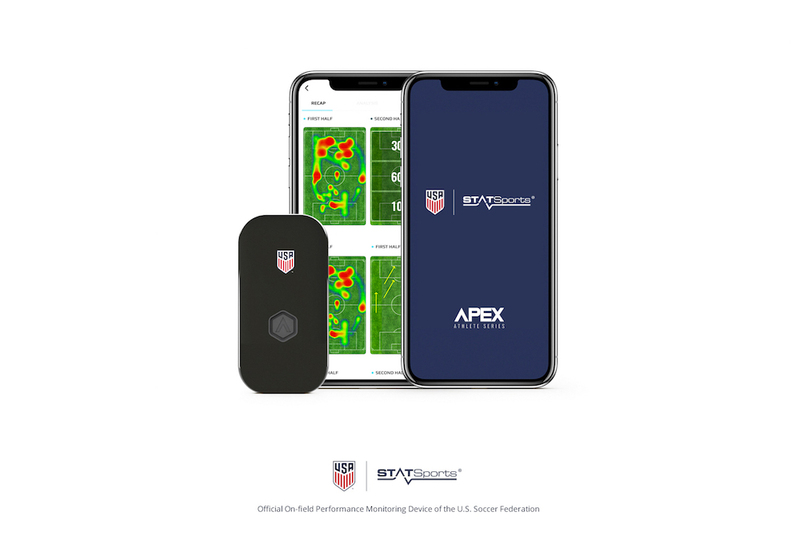 NFL, NHL, Rugby Union, NBA, track and field and hockey also use the company’s APEX Team Series GPS units which provide real-time data to players and coaches to drive improved performance. STATSports group managing director Jarlath Quinn said: “Players, parents and coaches are looking for data that can really help them improve and the APEX Athlete series GPS units do just that. “Our expectation is for millions of registered players in the U.S. to be wearing these devices by 2022 and this will revolutionise the way young players train, recover and perform. This will be the world’s largest data collection programme on athletes in any sport across both professional and recreational levels. The information is so rich it enables everyone to make better decisions on training and performance.